The Nobel Women’s Initiative, which was established by women Nobel Peace Laureates in 2006, supports projects carried out by women throughout the world, who aim to improve living conditions in their countries, and also initiates actions itself, for example the #WomenRefugeesWelcome Tour. 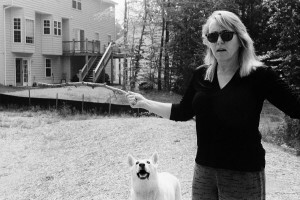 The Nobel Women’s Initiative arose when 1997 Nobel Peace Laureate Jody Williams approached the other women Nobel Peace Laureates and succeeded in persuading them to use the profile and relationships available to them through the Nobel Prize and pool their political influence. 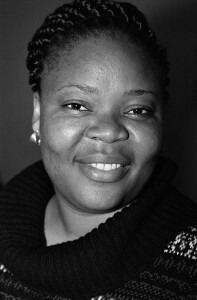 As a result Shirin Ebadi, Wangari Maathai (died in 2011), Rigoberta Menchú Tum, Mairead Maguire, Betty Williams and Jody Williams founded the Nobel Women’s Initiative in 2006. Aung San Suu Kyi, the 1991 Nobel Peace Laureate, was under house arrest as an opposition politician in Burma at the time but became an honorary member of the Initiative in 2011. 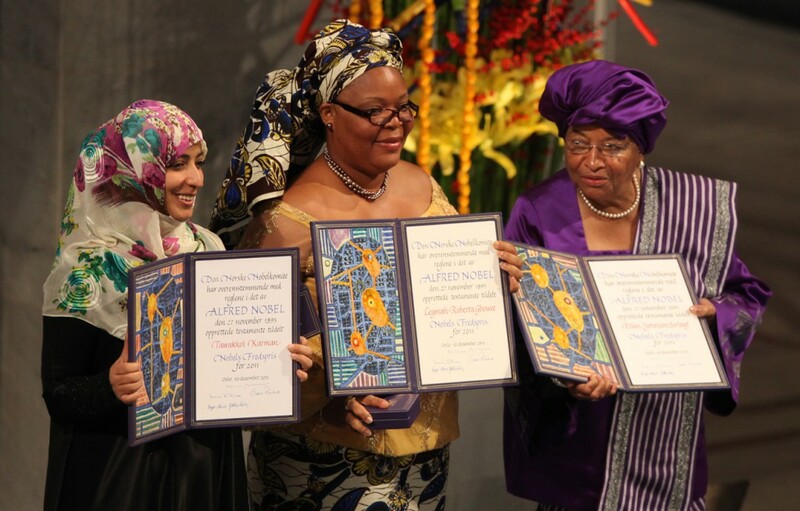 Active members today also include Tawakkol Karman, a women’s rights and peace activist from Yemen, and Leymah Gbowee from Liberia – they were awarded the Nobel Peace Prize in 2011 together with the President of Liberia, Ellen Johnson Sirleaf. The Nobel Laureates are supported by a highly professional team of women with extensive experience in the area of campaigning. Rachel Vincent, the Initiative’s Director of Media and Communications, for example, worked as a journalist in Canada, the USA and Mexico for many years, has been advising non-governmental organisations for 16 years, and accompanied Nobel Laureates Ebadi, Karman and Williams on their journey along the refugee route through Serbia, Croatia and Slovenia to Germany last year. Together with an expert group, the Nobel Laureates surveyed the situation locally, and spoke with the refugees, as well as helpers and managers from aid organisations in November 2015. Their reports can be accessed in text and audio form on the Initiative’s blog. In addition to the shocking reports about the individual fates of refugee women, the Initiative’s reporters clearly demonstrated that, apart from the abuse of women refugees by traffickers, the uncertain conditions created through forced open-air camping, sudden border closures and overcrowded mixed-gender camps have resulted in further experiences of violence. This gives rise to unwanted pregnancies, severe trauma and women giving birth along refugee routes. At the concluding press conference, a Swedish expert reported on women’s initiatives in Syria, which will continue their work despite the war and daily struggle for survival, and are ready to assist in a peaceful future. An urgent appeal was also issued for the support of solutions in the refugees’ countries of origin and for making aid and support available to civil society – all external military intervention plays right into the hands of the extremists on all sides. As the Nobel Women’s Initiative is not well known yet in Germany, only a few media outlets have reported on it – however, it is easy to keep up-to-date with the Initiative’s global events and campaigns through its Facebook account. The work of the Nobel Women’s Initiative is as wide-ranging as the problems currently facing the world. The individual Nobel Laureates bring their respective expertise to the campaigns, as they share a commitment to the causes in the face of seemingly intractable problems or huge adversaries. They are united not only by a belief in the feasibility of their projects and speculative hope, but above all by a strong will and a resolute willingness to act. Jody Williams summarised this very clearly in a TED talk: “… we can’t wait for the other guy. We have to do it ourselves.” She herself succeeded in developing the International Campaign to Ban Landmines (ICBL) into an organisation with 1,000 members from 60 countries in just one decade. In so doing, she established the basis for the Ottawa Convention, which was signed by 120 states, and was awarded the Nobel Peace Prize for this achievement. 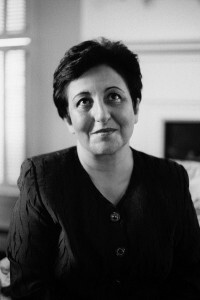 Shirin Ebadi was Iran’s first woman judge and campaigned against child marriage, among other things. She defended critics of the Iranian regime and was imprisoned herself. Tawakkol Karman established the association Women Journalists Without Chains in Yemen, voiced her opposition through the sending of mass text messages, and when the government shut down this channel, she took her struggle to the streets. The women Nobel laureates act as role models, as, through their cooperation, they demonstrate how it is possible to work together for a better world – despite all cultural and religious differences. In concrete terms, they also act as mentors for young activists. As they report, one of the highlights of last year was their cooperation with Neesa Medina from Honduras, Htet Htet Aung from Burma and Riya William from South Sudan. Last but not least, the work of the women Nobel Laureates serves to protect the safety of women activists throughout the world, lending visibility to the activists’ work and thereby making it more difficult to persecute them. A conference on this topic, “Defending the Defenders!”, was held in 2015. Its aim was to help develop networks and strategies that would serve the international community to provide better support and help to women human rights activists.